Canned Food is Good For You! Here’s Why. February is National Canned Food Month in the USA. Also, maverick UK cook, Jack Monroe, is releasing a cookbook featuring only recipes using canned items this year: Tin Can Cook. But are canned goods healthy, and should you be using more of them? Fresher means healthier, right? Fresh food has long been viewed as the pinnacle of good eating. But, even though it might be shocking to hear, it’s not always the case. More and more research being done shows that other methods of storing and selling food mean that alternatives such as frozen and canned are generally nutritionally not worse than their fresh counterparts. So, let us take you through what canned goods you should be buying and why. But also, when you should avoid them. Canning food is a practice that has been around for longer than you think. 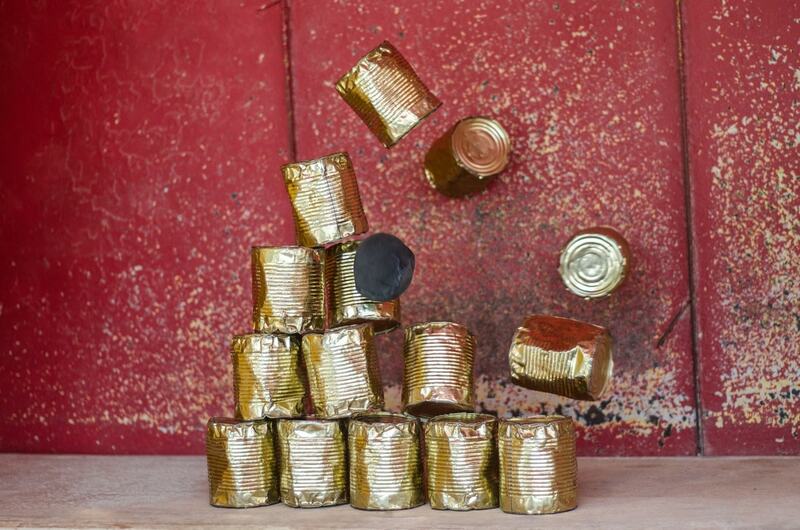 In fact, canned items first appeared over 200 years ago. 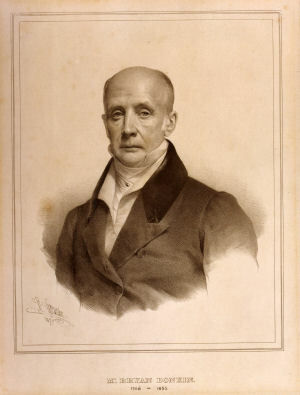 In 1811, an Englishman named Bryan Donkin bought a patent of Frenchman, Philippe Girard. Donkin made some adjustments to make Girard’s idea into something able to be produced on a large scale. After gaining approval from the British gentry in 1813, Donkin went on to provide canned food products for the British navy and set up the first canning factory in the world in Bermondsey, London. And the rest, as they say, is history. To gain an in-depth insight into the history of canned goods, the BBC has a comprehensive article on canned items’ history. To be canned, food is prepared (cut, chopped, or even cooked) and then sealed in an airtight can. This is treated under steam pressure at an incredibly high temperature (116-121° c / 240-250°f). This ensures that the food is completely sterile, as this process destroys all microorganisms. This means it’s safe to eat and won’t decay quickly. 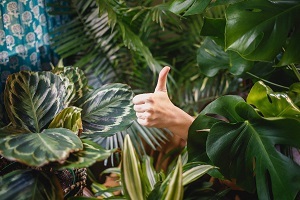 Sustainability – plastic got a bad rap (and rightly so) during 2018. It’s also made us think more generally about how we package food and what we waste. Whilst canned food might seem like a lot of potential waste, the fact is that cans are recyclable. Most cans these days are made from recycled steel, which can be recycled again. Labels can also go straight into your paper recycling pile. Canned items can also help combat unnecessary food waste. As the food keeps for much longer (see below), and already comes in defined amounts and portions, we’re less likely to throw away what we don’t use because it’s gone bad. 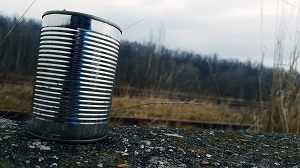 Any unused cans can be used a long time down the line. But this, of course, is down to you. They won’t get recycled if you throw them straight into the general garbage. If you do this, they’ll just sit in a landfill whilst they slowly decompose, which takes about 50 years. 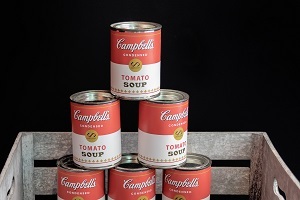 Storage – Perhaps the best thing about canned goods is that they keep for ages. Whilst they do all come with a use by date on them, it’s generally safe to use them well after this date (albeit at your own risk). For example, on the BBC’s “Made in the Factory” program, people opened canned food that was 100 years old, and it was still perfectly fresh and good to eat! However, this will only be the case if the can is in perfect condition, and there isn’t any damage to it. The mantra for many years has been, “fresh is best”. But canned produce is here to upset that. Research has shown that the nutrient values of canned vegetables and fruit are very similar. Indeed, the levels of fat-soluble minerals, and vitamins (like A, D, E and K), are the same. This is because canned goods are produced whilst the food is at its peak freshness. Often canning plants can be found very close to farms, ports, and producers so the food doesn’t lose much of its freshness before the canning process begins. 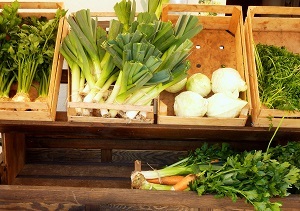 Fresh produce, however, travels great distances to your supermarket shelf. Sometimes they travel hundreds, even thousands of miles. With each moment on the road, it loses more and more nutritional value. The only difference is the level of vitamin C. With any piece of produce, the levels of vitamin C start to decrease as soon as you start to prepare it, and that includes during the canning process. However, even though fresh produce has more vitamin C whilst whole and untouched, you do end up losing some of it when preparing and cooking it yourself. You lose even more if you’re using produce that you’ve already prepared and stored for a while. So, the levels might not be that much different once you’ve prepared and cooked food yourself. Furthermore, the canning process can actually increase some antioxidants in some food. For example, the levels of lycopene in tomatoes are actually higher in canned form than in fresh! If you’re asking, “are canned beans healthy?” The answer is, yes! Much like fresh produce, canned legumes are just as nutritious as they are dried. But the biggest advantage the canned stuff has over the dried version is the convenience. Many dried legumes take a while to cook. Some even need to be left to soak for several hours, or even overnight, before cooking. 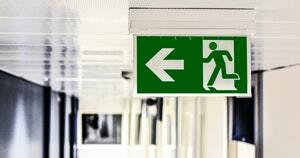 This means you need to do a good deal of planning if you’re going to use them. Whereas, because canned legumes have already been cooked or part-cooked, you can pop them straight into your dish at a late stage to simply warm them up or finish cooking them. However, this convenience does come at a price. It’s one of the few times canned items are more expensive. Canned legumes can cost up to 3 times more in weight than their dried counterpart. Eating (drinking?) 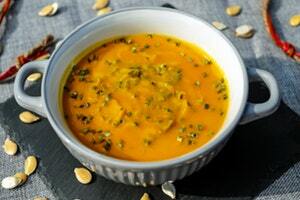 soup is a very comforting sensation, especially during colder months. Like most other food, soup can also come canned. However, canned soup is not as clear a winner as its main competitor: packet soup. For starters, canned soup takes more time to make as the contents need to be emptied and heated. Packet soups just need hot water from the kettle and it’s ready to consume. Furthermore, packet soup also has a very long shelf life, much like canned, but tend to take up a lot less space. Canned soup is also not great for portion control. 1 can of soup usually contains 2 portions: not 1 like some people think. This means you could be slurping down twice as much as you should. Packet soups can (but not always) come in single portions to help you control your intake. But overall, canned soup is generally more nutritious. Packet soup often freeze-dry any vegetables and meat that comes with it, meaning a lot of its nutrients are lost (although some are regained when added back to water). Whereas in canned, the contents retain as much goodness as possible. This also generally makes canned soup taste better, although there are certainly exceptions. Beware. Both varieties have a tendency to add extra sugar and salt/sodium. Always take a good look at the label before you purchase either varieties. Of course, the best way to avoid these extra nasty ingredients is to make even healthier and tastier homemade soup! 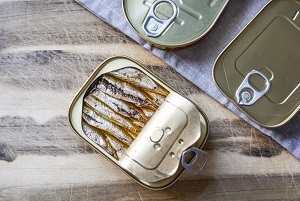 Produce and legumes aren’t the only things that come canned: fish does too. We’re not just talking about tuna, either. A whole range of fish comes in cans, some in oil, and some even already marinated in sauce. Just like everything else, the nutrients within canned fish don’t differ from fresh. The canning process can also make them a better source of calcium over fresh fish. This is because the process softens any bones, making them edible. It also comes with the added convenience of not needing much preparation or needing to store it in the fridge or freezer to make sure it doesn’t go off quickly. What’s more, if you opt for canned fish in oil, this helps preserve even more of the omega 3 that is inherent in fish. Many healthy eating guidelines recommend we eat two portions a week of fish, one of which should be oily because of their omega 3 levels. The downside is that using fish canned in oil will mean consuming more calories than those canned in water. Yet, the benefits of increasing your omega 3 intake may well be worth it. Whilst canned goods are as good as most fresh food, there are some instances where you should avoid them. 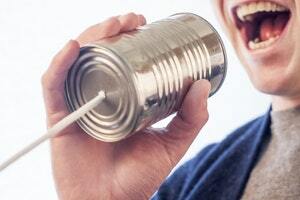 The can is dented – if there is a dent in the can, it’s best not to buy it. This is because when the outside becomes dented, there’s a chance it creates a microscopic hole which will allow air to enter the can. When this happens, the contents will start to decay and the shelf-life greatly reduced. If there’s over 3g of saturated fat per portion – many healthy guidelines say we should be cutting down on our saturated fat intake. This helps us avoid health issues like heart disease. If a serving of anything that comes in a can has more than 3g of this, then it should be avoided. If there is over 300mg of sodium per portion – salt is not only used as a flavor enhancer but also as a preservative. Sometimes this can be added during the canning process. High levels of salt and sodium intake are linked to high blood pressure and hypertension. Look for canned goods labeled as “low sodium” to be extra sure you’re not overloading on salt. 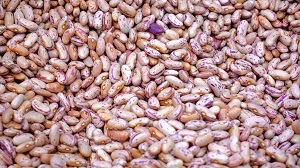 With legumes, giving them a proper wash before using can greatly reduce the amount of salt and sodium in them, too. Anything with added sugar – sugar has started to get as much scrutiny by health professionals as saturated fat and sodium these days. Too much sugar in a diet can cause type 2 diabetes and is linked with obesity. Therefore, as tasty as fruit in syrup might sound, it’s probably best to avoid putting these onto your canned food list. Too many strange ingredients – salt is not the only preservative that goes into our food. Manufacturers will also add a lot of non-organic ones. They also like to add a lot of non-natural coloring and flavoring in too. So, if there are any, or too many, ingredients that you’re not aware of, find a more natural alternative. These ingredients are often long complicated chemical names, and “E-numbers”. Highly processed canned food – not everything that comes in a can is good. Highly processed meat, such as corned beef or spam, can contain a lot of salt and sodium. It is also generally advised to avoid processed meat as this is also linked to cancer as well as heart disease. So, there are many reasons to start buying more canned food. It’s not just convenience, price, and shelf-life that makes them great: they can be just as good for us as fresh food. However, buyers should still be wary that not all that glitters is gold, and neither is every type of canned goods good. But more often than not, you’ll be surprised at how much canned items are actually great for your health. Do you use a lot about canned goods? Did it surprise you about just how much nutritional value is present in them? Is there any packet soup that you prefer over canned soup? Let us know in the comments. A Vegan Grocery List is Not as Good as a Vegetarian One. Here’s Why.